Anyways. 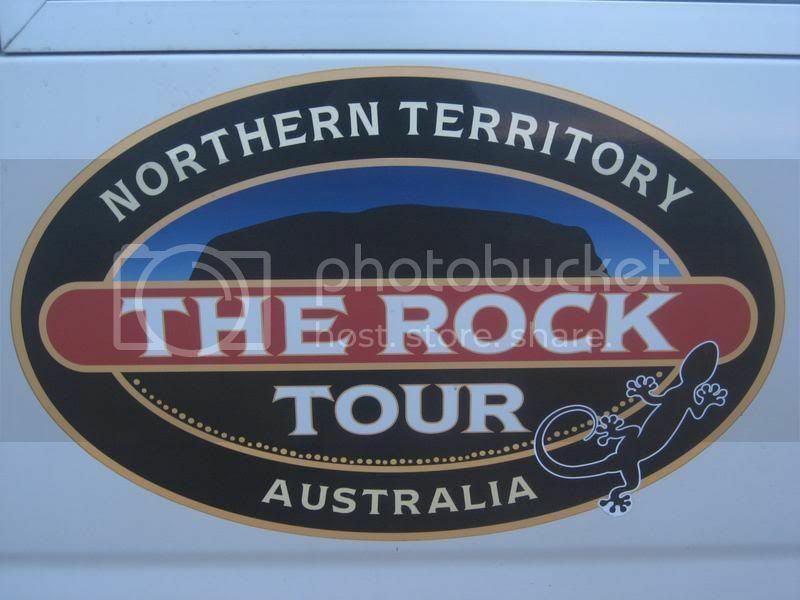 Just wanted to give you some pictures of my three-day tour of the famous Rock, Kata Tjuta (The Olgas) and Kings Canyon. 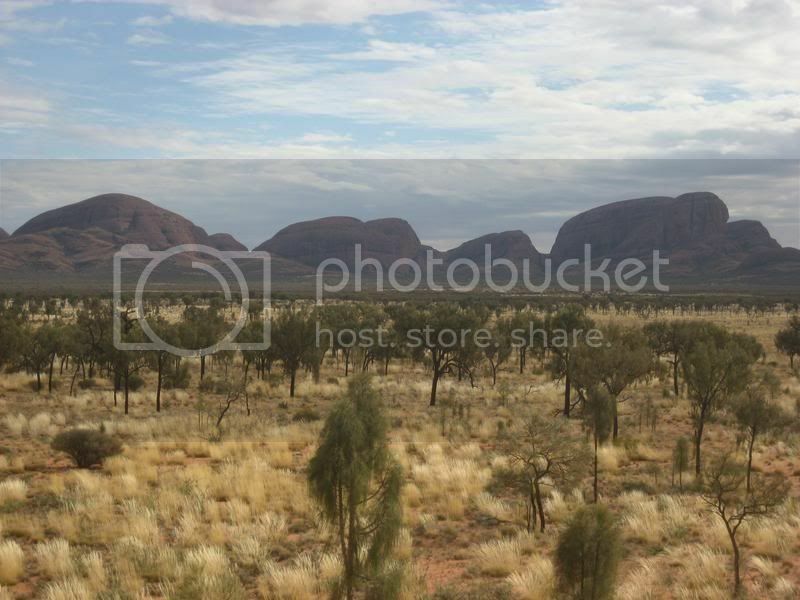 Absolutely breathtaking, all three of them, but my favourite would have to be Kata Tjuta. 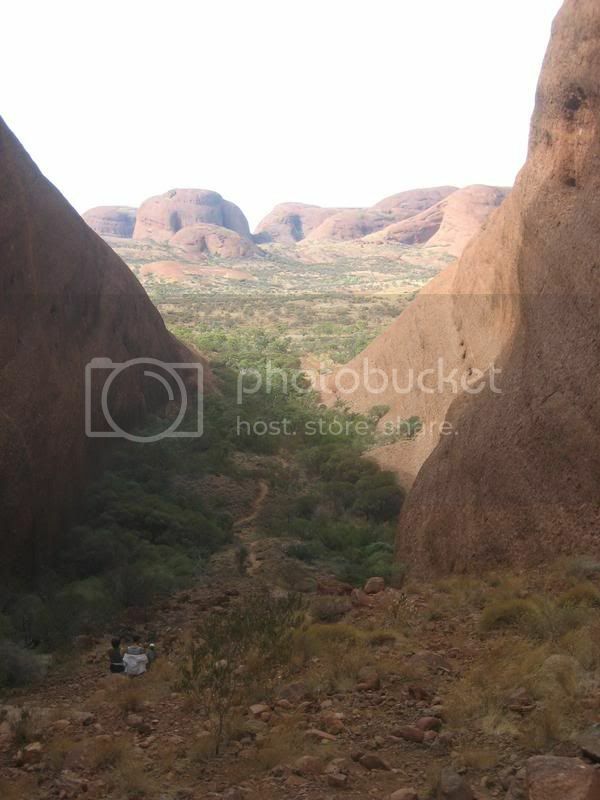 Everyone, EVERYONE, should go do the Valley of the Winds walk over there. 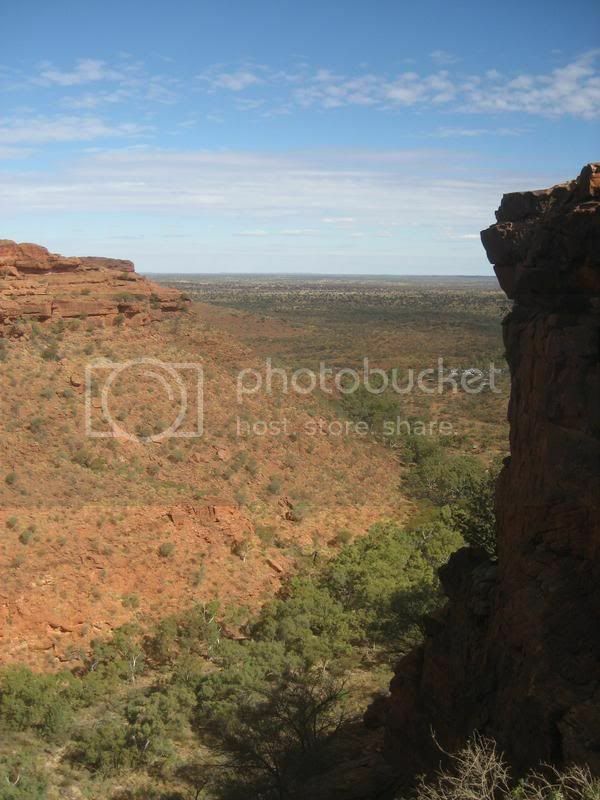 It's almost 8 kilometres and it has some rough climbing but the views, oh my God. Sadly they don't look anywhere near as amazing in the pictures, which is why you need to see it for yourself. Highly recommended. 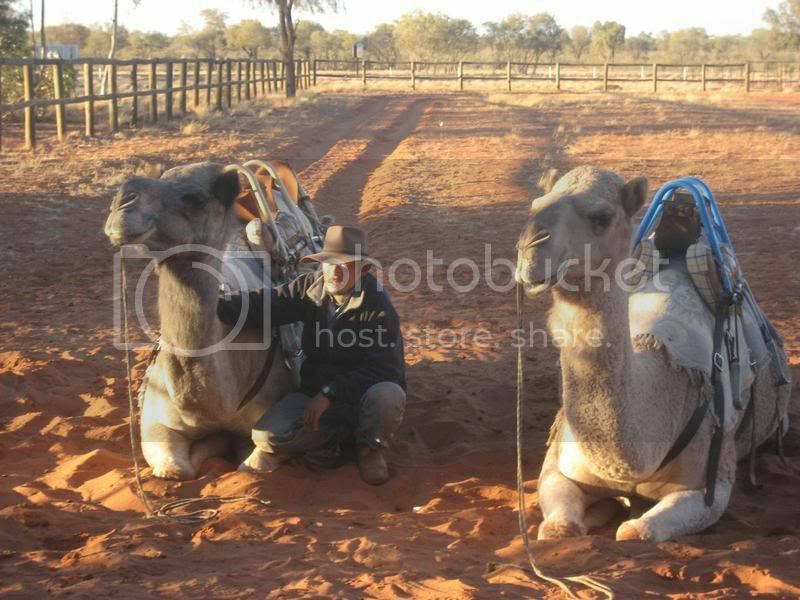 First stop was at a camel farm - haven't been on a ride yet but I hopefully will at some point. 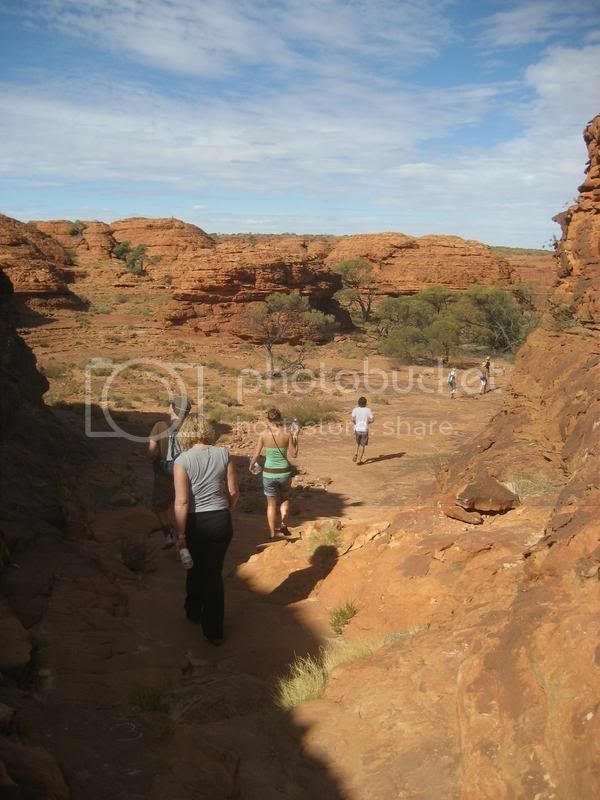 Hiking at Kings Canyon. Apparently they sometimes do it in a 47 degree heat - we luckily only had about 24 or so. 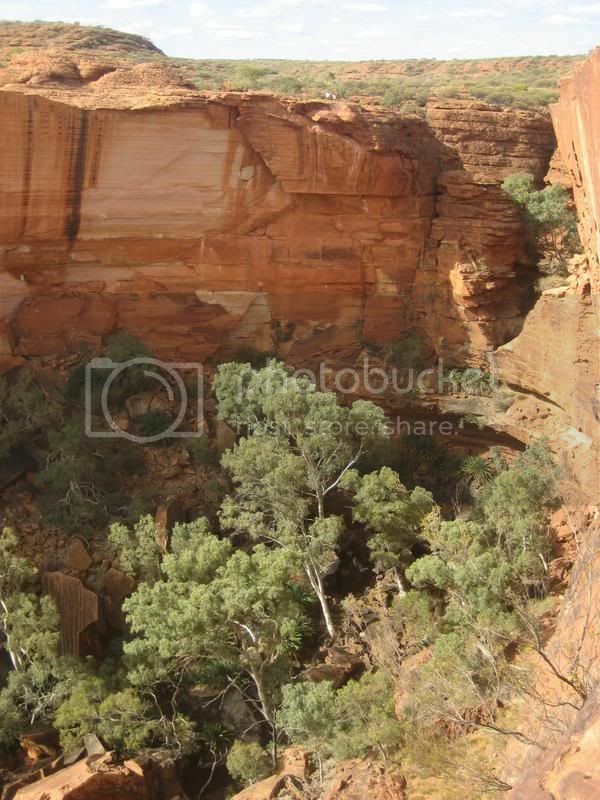 A big drop and tiny, tiny people on the other side of the canyon. 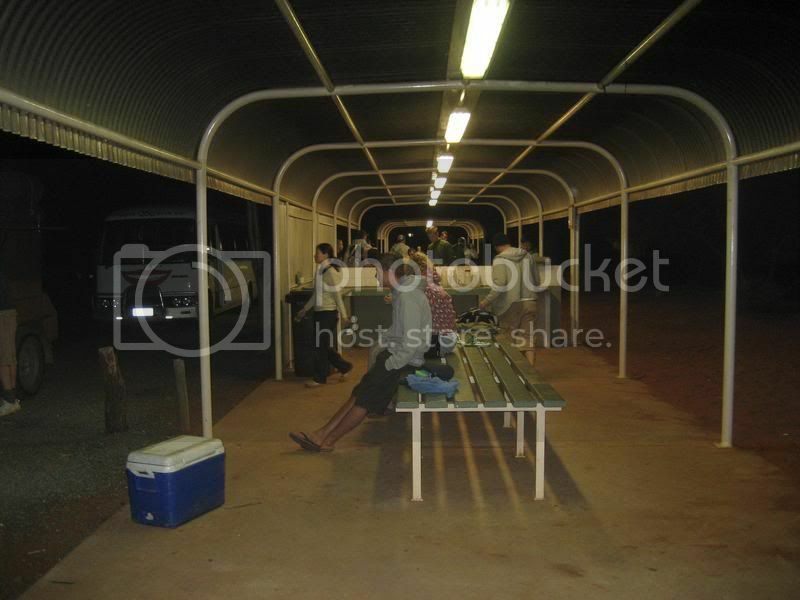 Ooo swags...first night's camping, on a cattle ranch called Curtin Springs. 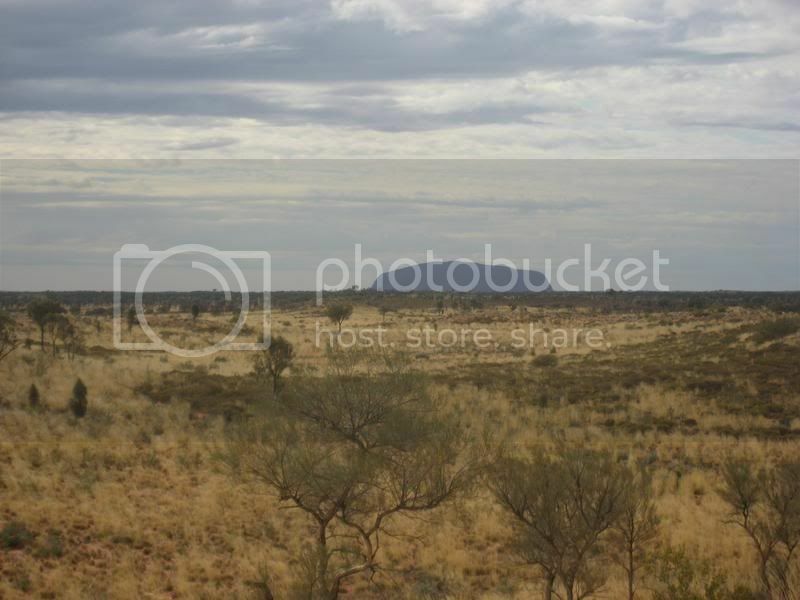 A million and a few hundred acres, so there's soom for a few backpackers! Campground on the morning of day two. 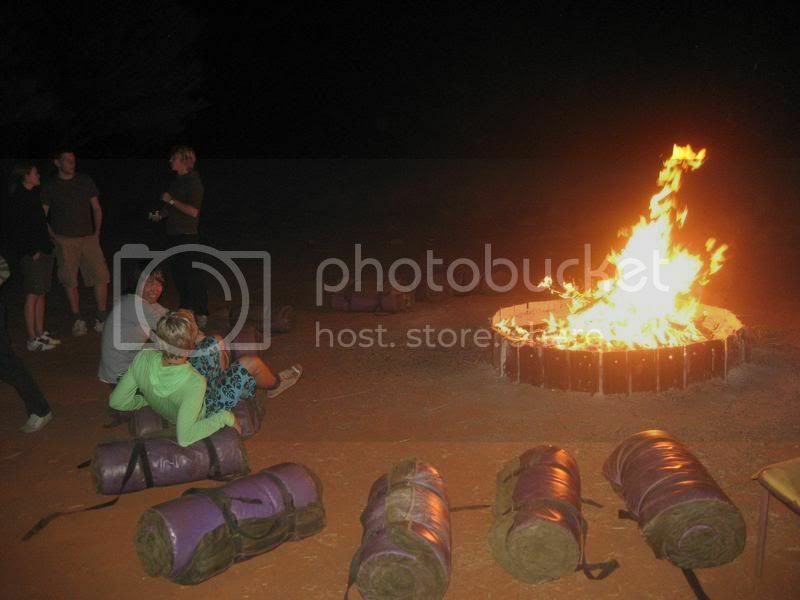 The night was mostly cloudy, so it wasn't cold to sleep outside even though I was worried about it beforehand. But then again the stars were also covered, which was somewhat of a bummer. 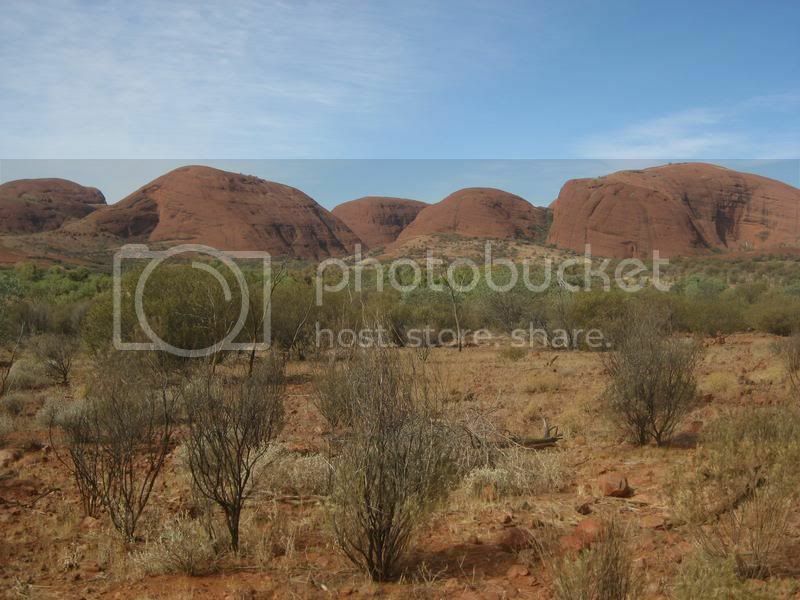 Kata Tjuta (meaning many heads) from a lookout. 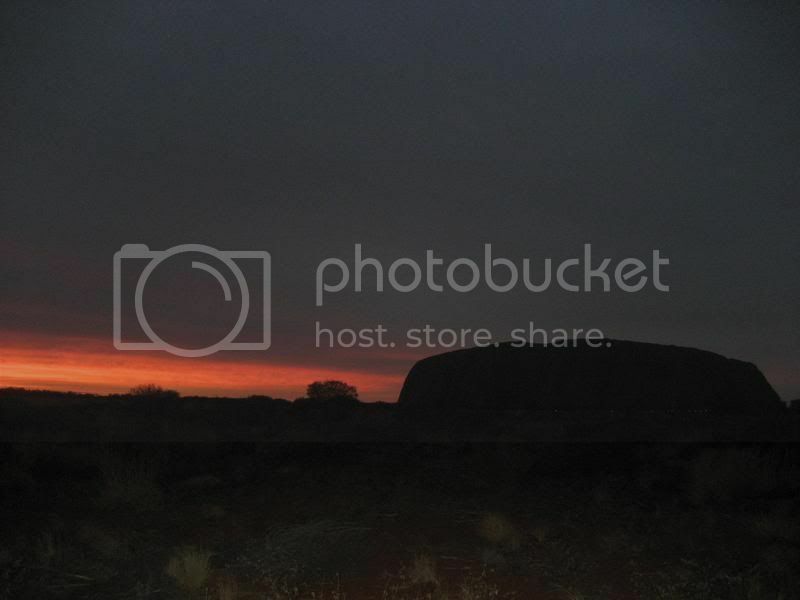 Some strange blob in the distance:) One of the first sightings of Ayers Rock (or Uluru as it's known nowadays). 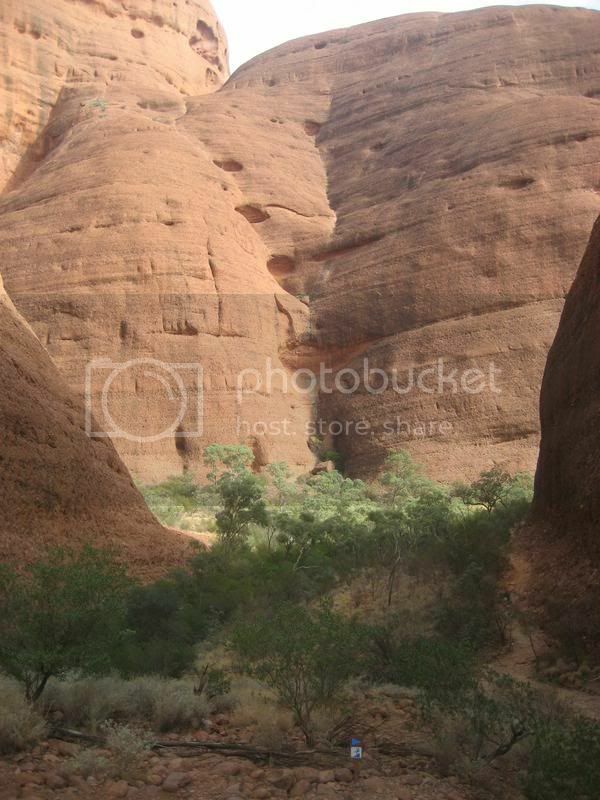 This is from the Valley of the Winds walk. It doesn't look as nice here but this was probably one of the most beautiful views I've ever seen. 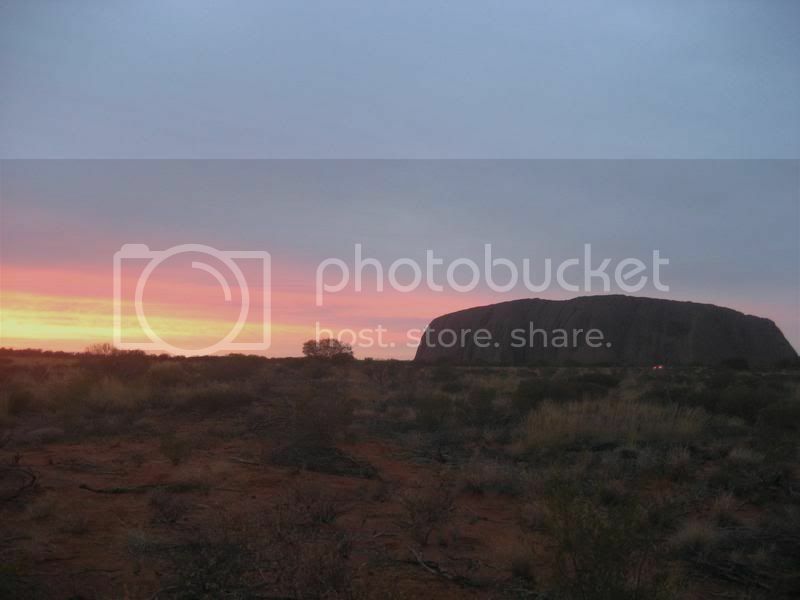 Still at Kata Tjuta. The contrast of the red rock and the deep blue sky was really amazing. 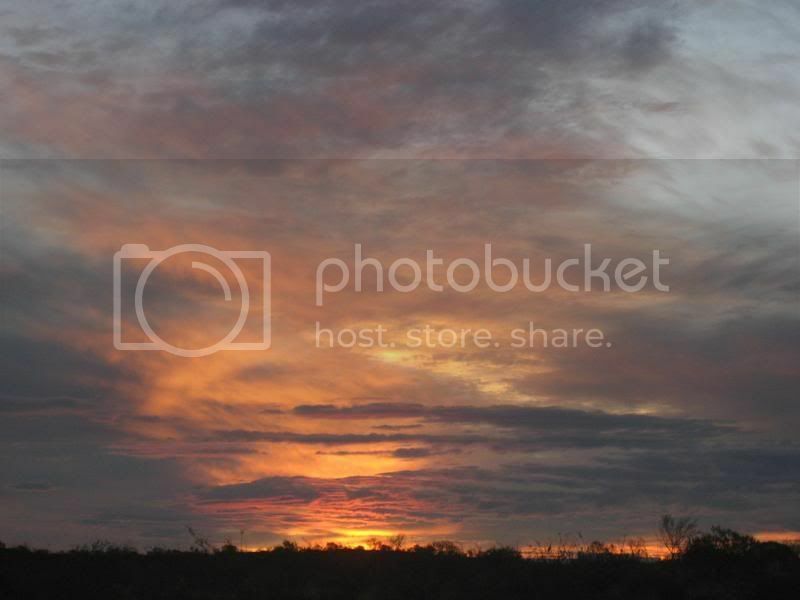 But still it was a damn nice sunset! 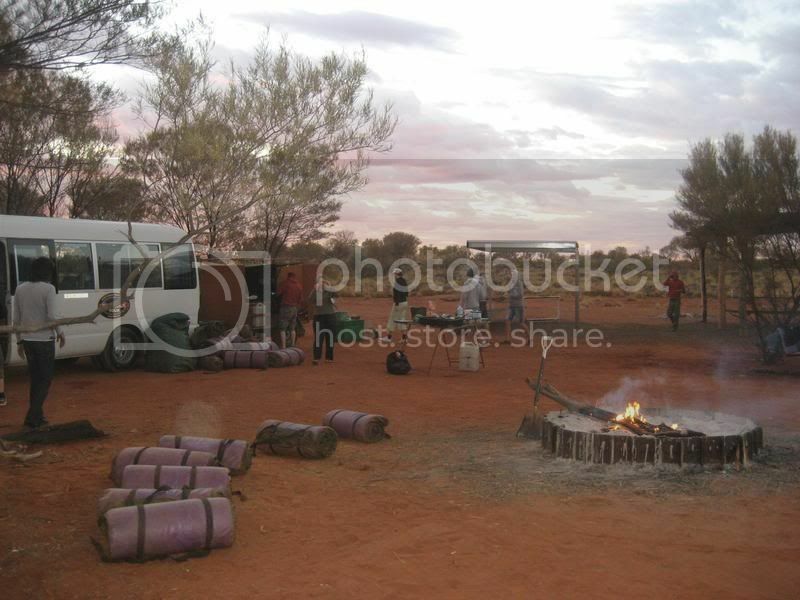 The second night's campground, or the "kitchen" of it, at Ayers Rock Resort. They had showers and everything - after two days of hiking, it was the best shower of my life! 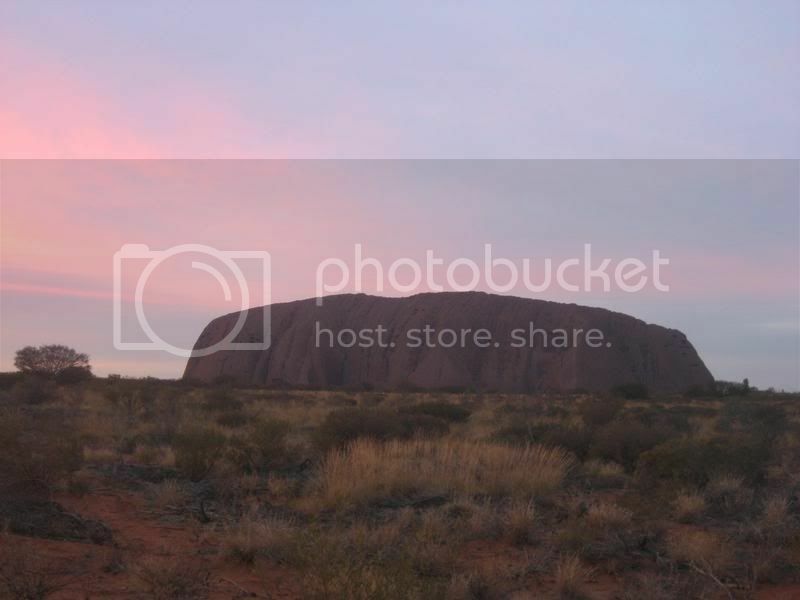 The first rays of sunrise at Uluru. Had to get up damn early to catch it and it was FREEZING, but worth it. And the day has begun. 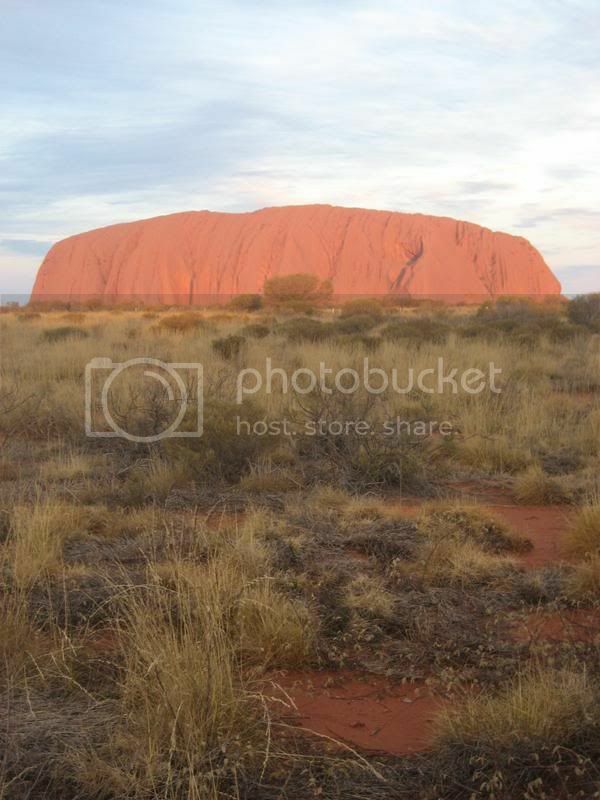 The rock is a lot bigger than I thought - the walk around the base is 10 kilometres. 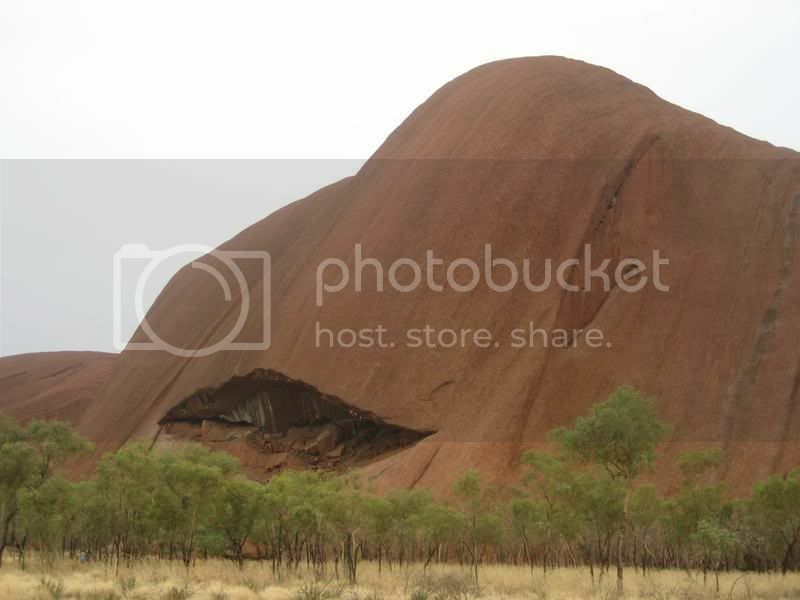 There's some very interesting rock formations along the way, like this one - I call it the face of Uluru. Looks like a whale's head or something. No climbing, not that I was going to. Apparently even the smallest breeze can be enough to blow a person off from the top. It's a scary thought. 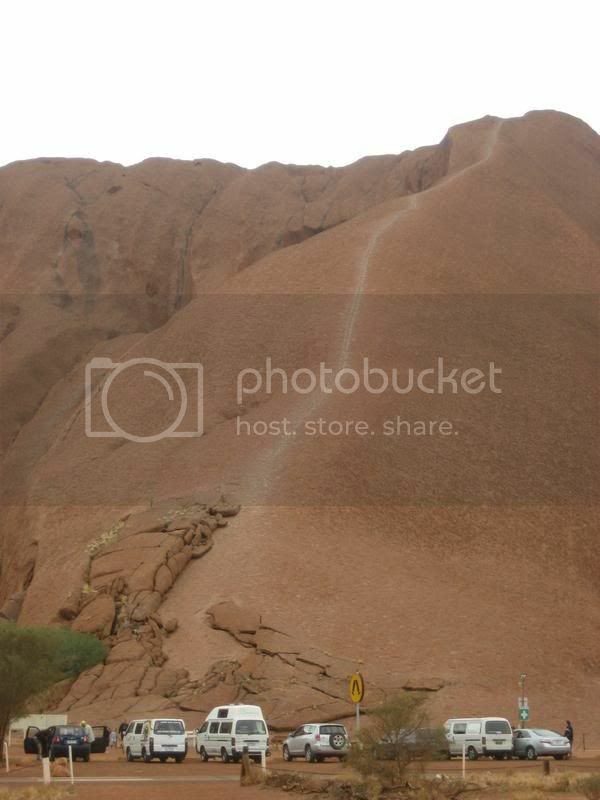 This is the climbing route. It doesn't really look like it here, but it seems completely vertical at places - I don't know how anyone can get up there. 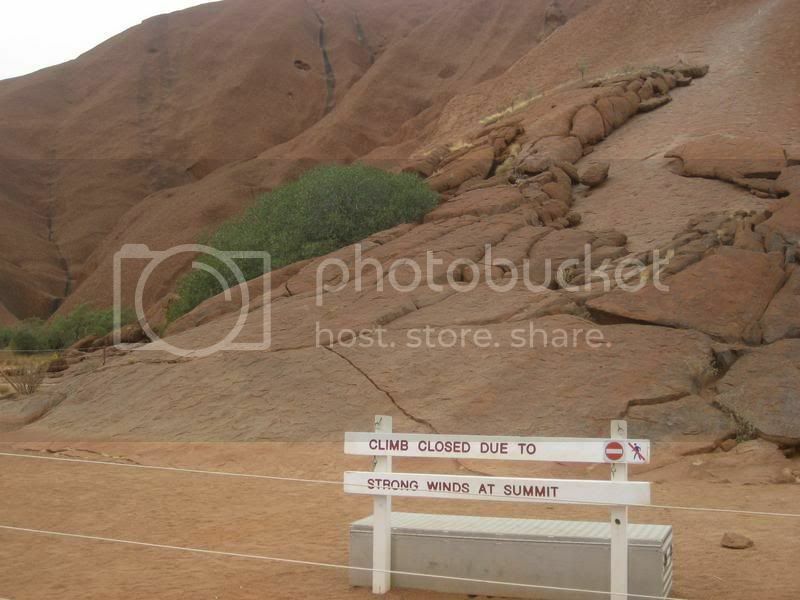 35 people have died while attempting to climb Uluru, 10 of them in the past ten years. That should tell you something. Only about 30-35 or so... Not that hot. You'll survive.